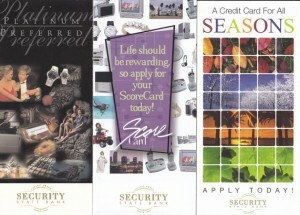 Security State Bank offers both a VISA Classic and VISA Platinum Credit Card. For a copy of a credit card disclosure, please call 1-800-242-2036. The Security State Bank VISA Platinum card allows instant credit for the purchase of goods or services wherever you see the VISA emblem. We offer a variable interest rate on our VISA Platinum card. 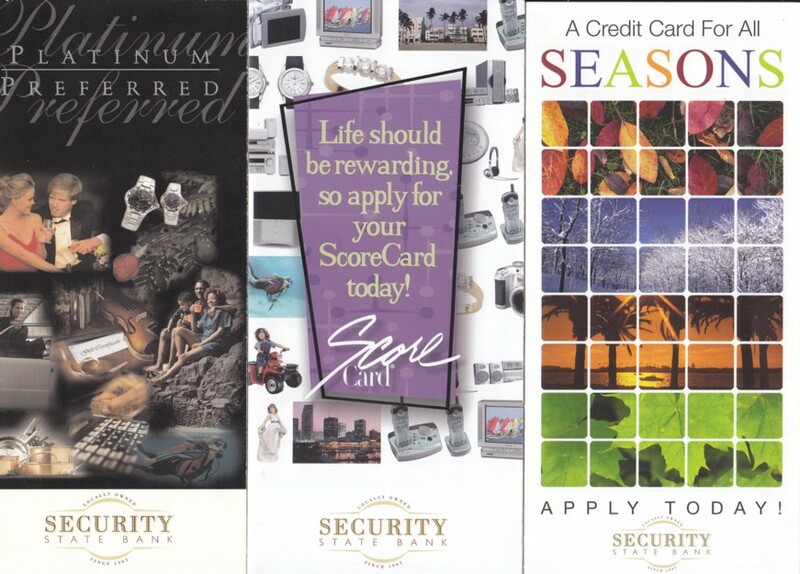 There is a $30.00 annual fee, that can be waived with a Security Advantage checking account. Earn Scorecard points for every net retail purchase you make with our Security State Bank Platinum card. You can redeem points for brand-name merchandise and exciting travel awards. The Security State Bank VISA Classic card allows instant credit for the purchase of goods or services wherever you see the VISA emblem. We offer a variable interest rate with no annual fee. Apply today by stopping by any of our branches to complete our Credit Card Application or call us at 360-736-0763 or 800-242-2036 for more information. Take our Credit Card Potential Test. Just answer a few easy questions about your situation and compare your score to the Credit Card Potential Guide. You may find that you’re eligible for a higher credit limit with our credit card. With a higher credit limit, you’ll have more flexibility for purchases, vacations, and cash advances… and you may be able to consolidate other credit card balances as well. You may want to order your Credit Report first to make sure you’re in good standing.